People say music is an universal language. Something like that was proven in a study made by researcher Thomas Fritz, from the Max Planck Institute for Human Cognitive and Brain Sciences in Germany. The study showed that regardless of culture or previous exposure, people were accurately able to recognize three emotions in Western music – happiness, sadness and fear. Every culture around the world has its music; melodies that represent certain place or people. Puerto Rico has its own also. Many people say its salsa, many others says is bomba y plena and other says in danza. I will not get into that right now, but we also have music that inspires the true Boricua in us. I don’t know if this happens in other countries, but many songs have been dedicated to Borinquen; songs that let us know how great this Island is. One of those songs is Soñando con Puerto Rico (Dreaming of Puerto Rico), by great song writer Bobby Capó. Composed in the 1950’s, it was considered to be the anthem of those who had to leave the Island looking for a better future in the United States. “I can’t hide the pride I feel of being Puerto Rican. And my thought, no matter where I go, moved to the Island, no matter where I go, to the blessed Island, my thoughts fly”. Every time I hear that song, and i bet that those of my readers that are Boricuas, feel the pride for your race and Island. And when you are outside it really hits you deeper in your soul. To those of you reading that are not Boricuas, or don’t speak Spanish, you will be able to feel nostalgic when you hear the song. Moving from nostalgic songs to ones with better rhythm, we go to Amanecer Borincano (Boricua Dawn). Alberto Carrión, who started as a rock singer in the 60’s, wrote this song for his first album back in 1974. With this song Carrión describes a dawn in the Island and that we, as Boricuas, are part of it. We are sons of this God-blessed land. “I have Puertorican blood, I am the son of the palm tres, of the countryside and rivers, and of the sound of the coqui. Of valleys and coffee plantations, of sugar cane, sugar and pineapple. Of guava, mampostiales, of tembleque and mavi (these last three are Boricua delicacies)…” For me, the best performer of this unique song is Lucecita Benítez. Her voice is amazing and the feeling she carries in it makes this song one of a kind. Have you ever heard a story of a family that moved to New York looking for something better. That was the situation of many Boricua families back in the 50’s and 60’s; looking for a better place to raise their children, or at least a better job than the ones in Puerto Rico. That feeling is stamped in Boricua en la Luna (Boricua in the Moon), a song based on the poems of Juan Antonio Corretjer performed by Roy Brown, born in USA from a north american father and a Boricua mother. The song tells the story of a man born in New York by his immigrant parents from Puerto Rico, and the way he was brought up to love the Island. “And this way I shout to the villain, I would be Boricua even if I was born in the Moon” That’s how deep the love for this Island goes. Salsa…. 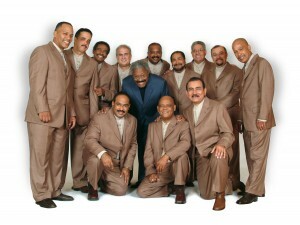 simply the best music ever made, and when El Gran Combo is singing, is even better. The University of Salsa, name with which El Combo is recognized, has been around for 50 years. Song after song, rumba after rumba, the orchestra has made a lot of us dance and do the Jala Jala. One of their songs, Patria, describes in a great rhythm (unique to El Gran Combo) what Puerto Rico is. “A blue midnight, a silver dawn, a gold morning, that is my Island”, starts the great song released in the 80’s to the voice of Charlie Aponte. And one of the best performances I have ever heard comes from a guy who was not born in this side of Puerto Rico, but in it’s extension: New York. The song Preciosa, written in 1937 by the great Rafael Hernández, is the song of Puerto Rico. Is a song that explains the beauties of the Island, and performed by Marc Anthony gives a greater meaning to the definition of Puerto Rican. “Beautiful call you the waves of the sea that bathes you. Beautiful for being an enchantment, for being an Eden… Beautiful, beautiful call you the sons of freedom”. Songs that makes us proud to be born and raised in this Island, and even if born outside, Boricuas carry that pride in their blood. We sing, we dance, we enjoy being who we are and we will pass that pride to generations to come. Here are other songs that you will love and that show the love we feel for the Island. Verde Luz, La Perla, and if you want to know what Patria means, listen to this one, from our adoptive son Rubén Blades: Patria – Rubén Blades. If there are any other songs you may know about, let me know. Until next time, cójanlo suave!